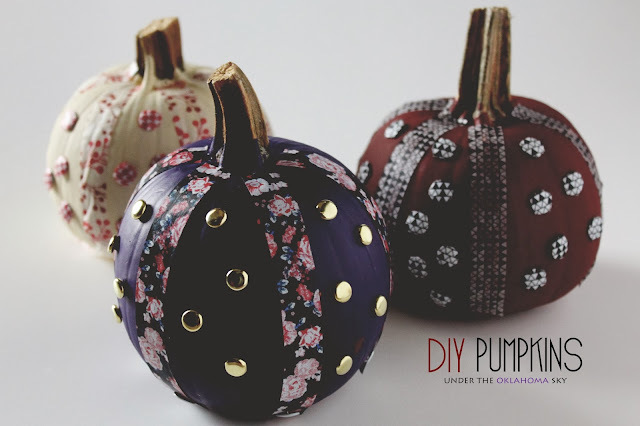 W I L D B L O O M : DIY fall pumpkins. the oklahoma weather finally got the memo, and fall has arrived! it's been scarves, boots, changing leaves, and pumpkin eeeeeeverything. make a fun DIY from pinterest is on my autumn to-do list. 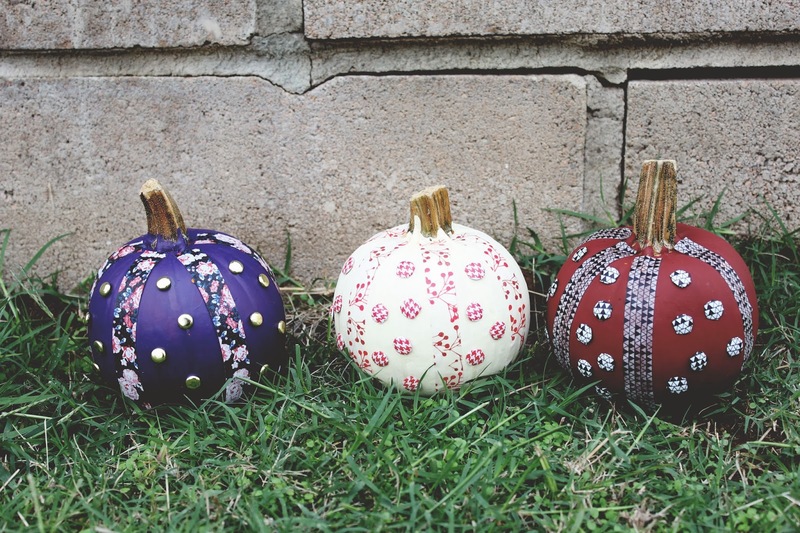 i found the cutest pumpkin craft from a subtle revelry and got to craftin'. - apple barrel's acrylic paint in purple pansy, tuscan red, ivory. - be careful not to chip the paint with fingernails when pushing pins or brads onto the pumpkin. - i didn't like the plain white tacks, so i covered them in washi tape. - pumpkin juice will seep out after pushing on the pins/brads. lightly dab with finger to remove.